The passing of Luke Perry was one of those celebrity deaths that hit just a little harder. One because he far too young at 52 and also you could tell by the outpouring of support by his peers that he was a genuinely good guy by the stories they shared of their interactions with him. I was surprised to hear he had a stroke and shocked when he did not recover. Sometimes you hear of a celebrity passing and you think that it's too bad but we just kind of go on. Luke's passing has stuck with me. I really hadn't thought about Beverly Hills 90210 in awhile but with Luke's passing I remembered just how huge of a fan I was of that show while growing up. Every Thursday for years and years starting with the very first episode that aired on October 4, 1990 I spent with that group from West Beverly High. I'm not ashamed to admit it, I was hooked. I even collected the 90210 trading cards Topps put out in 1991 for a short while. Luke's Dylan character was one of those "every girl wanted to be with him and every guy wanted to be him" types. His demeanor was just so cool. He was often called our generations James Dean. Sure, he and a few of the cast members seemed a little old to be playing high school characters; I mean the West Beverly gang was nothing like my friend's older siblings that were in high school, but I didn't care, it was good TV. I specifically remember trying to mimic Dylan McKay's low cool voice when I was talking to girls. I thought I sounded cool and mysterious but I probably sounded like a major tool. I also remember wanting a scar in my eyebrow like he had. I was feeling nostalgic about the show so I started binge watching it from the first episode. I got to episode #20 entitled "Spring Training", a baseball episode. I really don't watch many television shows so I'm not sure if it's still the case but back in the day every series it seemed had a baseball episode. This episode was one of those underdog feel good stories. Brandon and Steve help Brandon's dad -who's laid up with a back injury- coach an overly privileged West Beverly team. Brandon's frustration with the team's rotten behavior comes to a head when they scrimmage a team from the other side of the tracks coached by Brandon's Peach Pit boss, Nat. Dylan is recruited to help coach up Nat's misfits for a second scrimmage, and they're also aided by a girl ringer that Andrea brings in. Lessons in humility and sportsmanship are learned by all. Admittedly a little cheesy, but I enjoyed watching it again after all these years. Naturally I had a strong urge to make cards from this episode. Both in homage to Luke Perry and a show I forgot I loved so much. The episode debuted in 1991 but I chose to go with a 1988 Topps inspired design. There wasn't a lot of decent pictures available online so the one picture with Brandon, Mr. Walsh and Steve Sanders I thought would be perfect for a Team Leaders card, which wasn't a subset in the 1991 set. 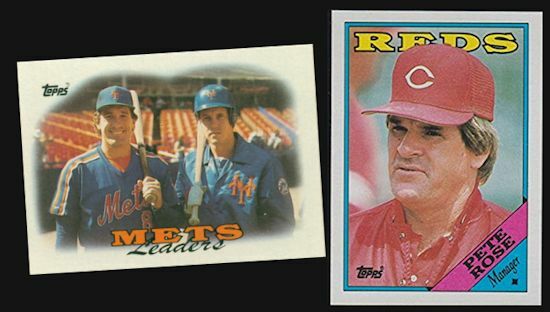 If I'm correct Topps did that subset from 1986 through 1989. 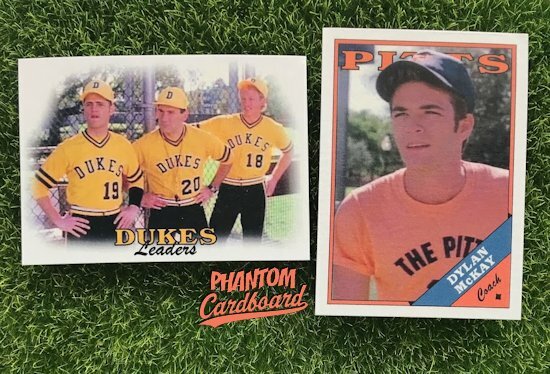 Since I was doing that card in the 1988 style I also kept Dylan McKay's coach card in the same design.